We are excited to partner with the Canadian Community Economic Development Network's (CCEDNet) Econous for our Annual Conference! 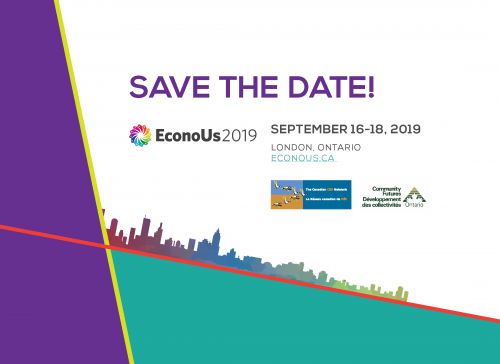 EconoUs2019 will be our biggest yet, in London, Ontario, hosted by Community Futures Ontario. Join us to celebrate CCEDNet's 20th anniversary and continue growing an economy that works for all.